Aliyah Moulden from Team Blake sings ‘Jealous’ on The Voice Season 12 Top 10 Live Shows, Monday, May 8, 2017. “You doing that song at this point was really smart. I think you did a beautiful job. Crying with songs, it happens sometimes,” said Gwen Stefani. “I’m so proud of you right now. You did what you needed to do. I think we all cry with you,” said Blake Shelton. 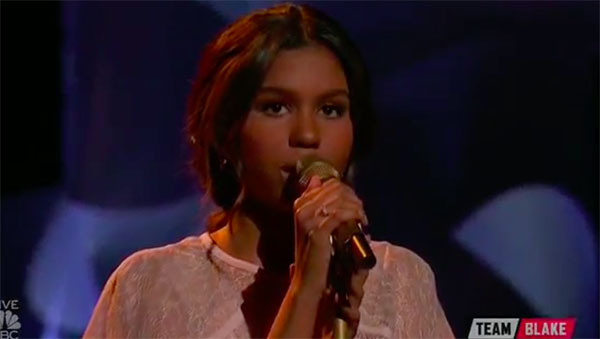 Did you like Aliyah Moulden’s performance tonight? Share your thoughts on the comment section down below.